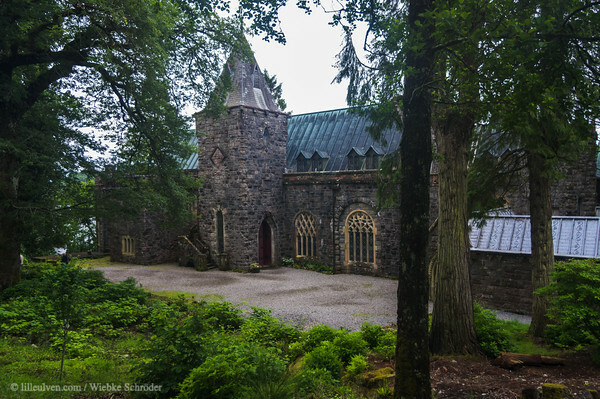 Lochawe, Scotland, United Kingdom The church was build between 1881 and 1886, after Walter Campbell purchased the Island of Innis Chonain and had moved himself, his mother and his sister onto the Island. The nearest church in Dalmally was too far away for the elderly Mrs Campell to reach and so his son started building this one on the shore of Loch Awe. While the original building was finished in 1886 he later decided to extend this into a more ambitious church, which was finished after his death and first used in 1930. uuid="AA5CF433-C454-4C34-9FF9-BE884B7E6A2E" id="United Kingdom lilleulven.com UK_SCOT_20100718_153648.dng Scotland Lilleulven.com"